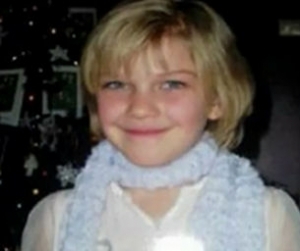 In Woodstock Ontario, 8 year old Victoria (Tori) Stafford did not come home from school. Once it was determined that she was missing Tori’s mother, Tara McDonald, was suddenly exposed to the media asking for help in locating her missing daughter. At her side, ex-husband Rodney Stafford pleaded for any leads or help in bringing their daughter home safely. In her initial address to the media Tara McDonald appeared distraught. Her face shining under the white glow of the camera’s as tears rolled down her cheeks. Clutching a white teddy bear she looked like any other mother faced with such a horrible scenario. Behind and to her left the red haired Rodney Stafford stood, eyes puffy, a look of disbelief on his face. As her mother cried before us pleading for her daughter to stay strong one could not help but be moved, but the initial sympathy for Tara McDonald would be short lived. As the nightmare of Tori’s disappearance continued into days, the forum of public opinion began to shift drastically. The initial distress of Tara McDonald was replaced by a woman who actively came out of her house to stand before the microphones and camera’s to give daily briefs. Becoming more comfortable with the camera’s Tara’s actions, lack of outward emotion, and even how she dressed was suddenly being dissected. The first shots came from the networking website Face book where posters accused McDonald of not showing enough emotion. When a video surfaced showing a woman in a white coat leading Victoria away from the school claims were suddenly made that she (Tara) resembled the female in the video. From that point on, all new information on Tara McDonald began draw speculation. The media began to dig into her past and it would come to light that she had previous drug issues with Oxycontin and was undergoing methadone treatment. This sparked a very public confrontation between ex-husband Rodney Stafford and Tara McDonald and an on camera argument ensued with each accusing the other of being derelict in their parental duties. All the while, the camera’s rolled adding fuel to the fire of conjecture about Tara’s involvement in Tori’s disappearance. Another strange twist in the case was an anonymous person who contacted Tara McDonald and took her on a limo ride where in they offered to help financially in bringing Tori home. The donor had told Tara that they had been through a similar situation and wanted to remain anonymous. Tara would be grilled for waiting two days to release this to the media at which she stated she wanted to talk to the police about it. Meanwhile, Const. Laurie-Anne Maitland of the Oxford County Police Service seemed impassive to the bizarre turn of events and stated. [sic] “Um, every thing is taken as possible evidence, but right now the focus is on locating Tori.” It was speculated by media that the Limo Ride was a ruse created by the police to try and determine whether Tara was involved in Tori’s disappearance. A break in the case came and police announce the arrest of two suspects. Charged with the abduction and murder of Victoria Stafford were Terrie-Lynne McClintic 18 and her boyfriend Michael Rafferty 28. Vindication for Tara McDonald was overshadowed by the devastating news that her daughter would never be coming home again. Once charges are formally laid a judge orders a publication ban to avoid compromising the case being built against McClintic and Rafferty. Over next two months police continue to search for Tori with the help of McClintic, but her assistance yields no results. In an area north of Guelph an OPP officer spotted a green garbage bag underneath some rocks. Upon closer examination it is apparent that the officer has found the remains of a child. The publication ban was lifted in regard to Terri-Lynne McClintic and her involvement in the brutal killing of 8 year old Tori Stafford. What is now known is that McClintic, then 18, plead guilty, to the abduction and first degree murder early on. She was seen in the surveillance video leading Tori Stafford away from the school. After luring the child into her car with the promise of seeing a puppy she took her to a Home Depot in the city of Guelph where she purchased a hammer and garbage bags. While police have not identified the murder weapon it is known that young Tori’s body was found in a garbage bag and she died by multiple blunt force trauma. Rodney Stafford, Tara McDonald and Tori’s older brother Daryn will all have to live with the reality that innocence can exploited by the darkest side of human nature. The treatment of Tara McDonald by the public, the media, and the local police was despicable and that should be a constant reminder to all of us that the presumption of innocence is paramount to seeking justice. Excerpts from victim impact statements in the McClintic conviction. Trump apparently back in Lizzie's good books!